What a hectic month it has been! I’m sure you would have noticed that tonnes of weddings are going on in the month of December, with couples saying “I Do” on almost every weekend! Perhaps the possibility (as proposed by the Mayans) of the end of the world is spurring couples to finally tie the knot before all hell breaks loose. Or perhaps the number 12.12.12 was too tempting a date to resist (especially for the husbands who can never remember their anniversary dates). 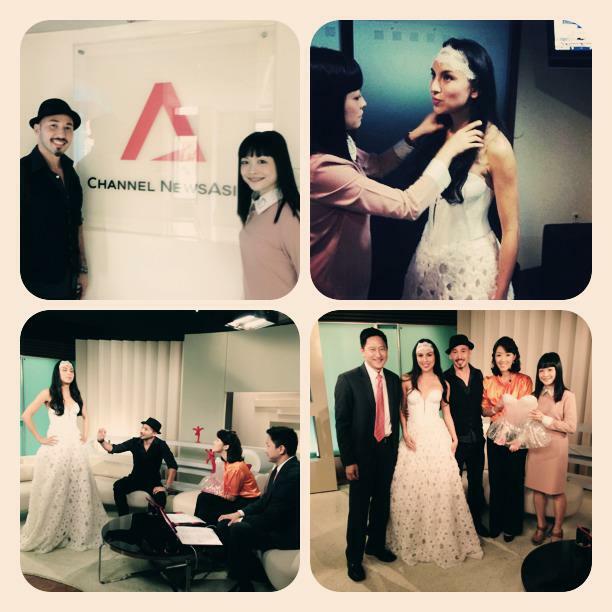 Or maybe its simply a good time to get married! Whatever the reason, its a joyous month indeed! Add the fact that Christmas is just around the corner, and New Year is rolling right in, everyone is more or less already in a holiday mood. I dread standing next to people, its an instant height comparison! And as such, the year draws closer to an end. Here’s to the last few weeks of December, and possibly an alien invasion (if not a zombie apocalypse, asteroid collision or a dozen other major calamities)! p.s. The competition for most creative/interesting wedding photo is still on! 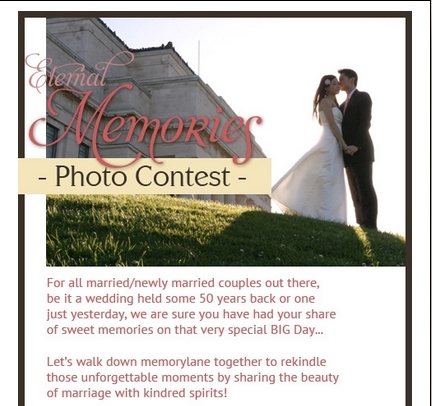 Just log on to my Facebook page and the Eternal Memories Contest app, and view the details over there! So, if you have always been wondering what to do with that album of wedding photos that you took ages ago, just pick it up, choose your favourite photo and send it right over!